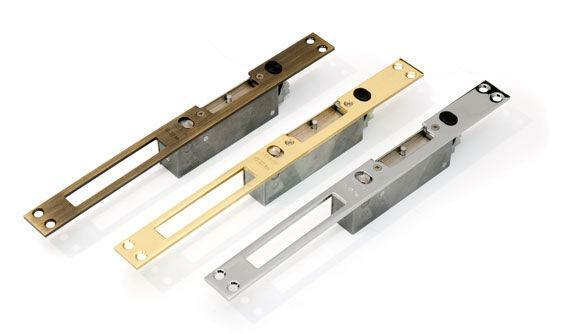 Electric strikes with different functions, with stainless steel or brass frontal plates available in several finishings. Configurable with differetent types of front plates and various finishings. New electrical body with reduced dimensions. 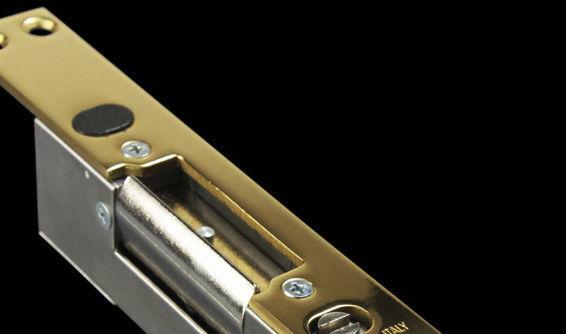 New latch bolt with easy adjustment up to 5mm. Slide wedge cut make it easier to relese of the lock. 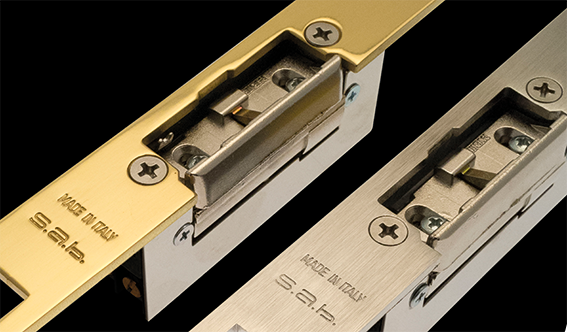 Hold opener lever (DAYTIME setting) for the mechanical permanent unlocking of the electric strike. Confirgurations with HOLD Open lever and PERMANENT Realease slide. Absorption 0,5 ÷ 0,8 A.